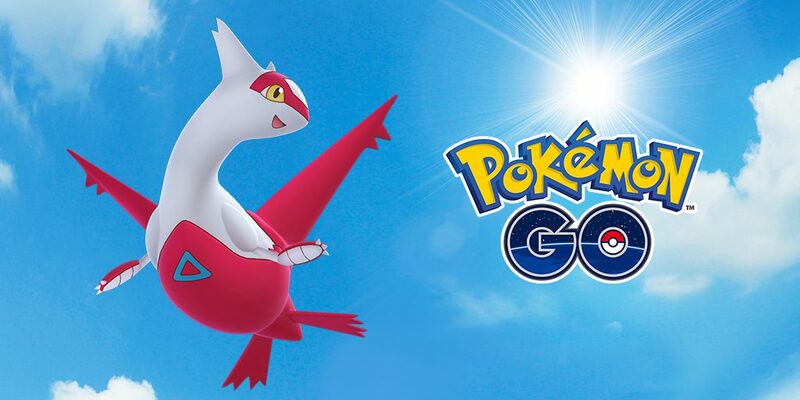 For trainers that missed their chance to catch a Shiny Meltan back in February, Niantic is offering up a second opportunity. The Meltan themed event is returning to the game on Wednesday, April 24th, where fans can add this elusive Shiny Mythical Beast to their collection. Meltan is unique in Pokemon Go due to the fact that trainers need a specific item known as a Mystery Box in order to summon the monster. Normally, after opening the Mystery Box players have 30 minutes to catch as many Meltan as they can find, then after the allotted time, they need to wait another 7 days before opening the box again. During the Meltan event, Niantic has decreased the box spawn time from 7 days to only 3 days, allowing fans to catch way more monsters than they could before. Players will have a chance to catch a Shiny Meltan every time they open the Mystery Box. This beast can be distinguished by its darker head and blue tail. Trainers that are able to capture a Shiny Meltan can evolve the monster into a Shiny Melmetal. Unfortunately, players will only have until May 5th to capture a Shiny Meltan, so act quickly if you'd like to capture one. 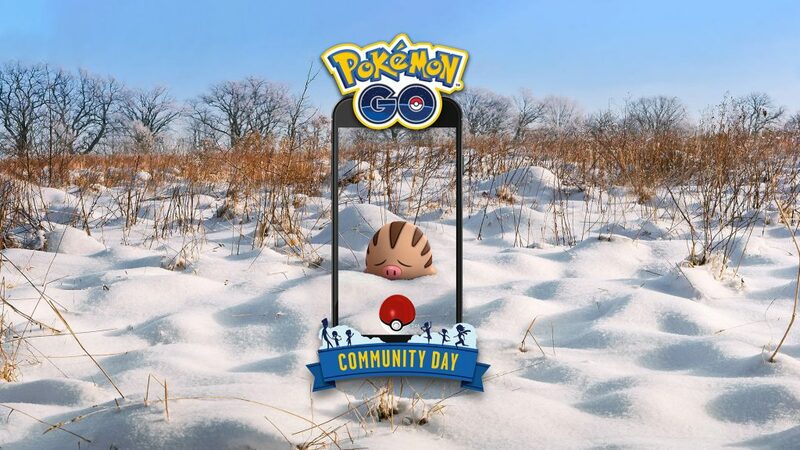 Niantic is not waiting long after the Meltan event ends to host their next Community Day event, which is scheduled for Sunday, May 19th. This time around Community Day will focus on the Gen 3 starter, Torchic. Players will also be able to earn triple the amount of Stardust during May's Community Day event. 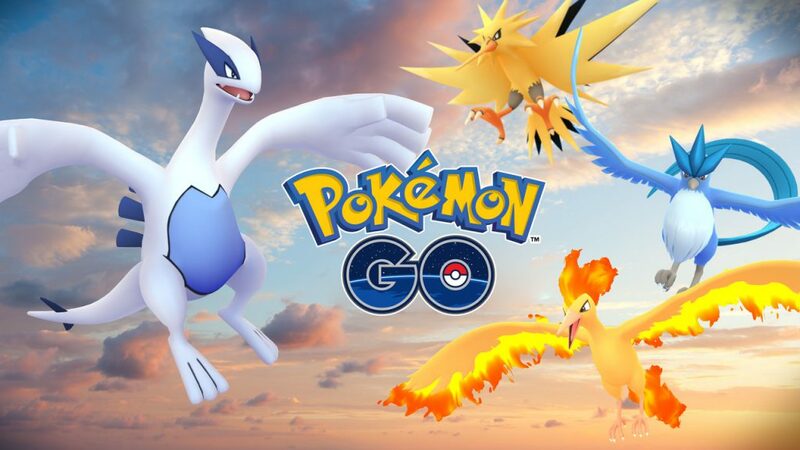 For more on Pokemon Go be sure to keep checking back with us here at GigamaxGames.com! Pokémon Go is finally giving gamers the chance to battle each other with an update focused on delivering a true PvP experience. 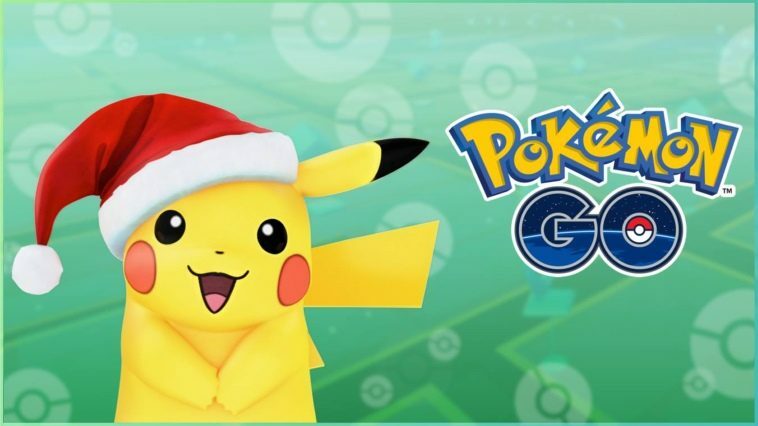 There is no set release date but Niantic, Inc and The Pokémon Company ensure fans they will have a chance to fight their friends by the end of December 2018. Pokémon Go will open up both online and local PvP as well as introduce the Trainer League. Mobile gamers will be able to face other Pokémon trainers online. One-on-One fights can take place between random players, local trainers, or friends. Friends can send battle invites when they reach the top two tiers of friendship, Ultra Friends or Best Friends. 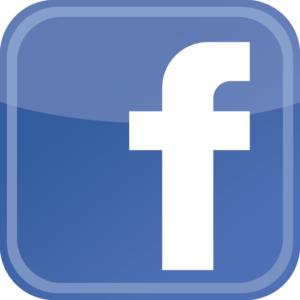 Both Good and Great Friends cannot send battle requests through the Friends list. Trainers will need to create Pokémon battle parties before their battles. These battle parties are made up of three Pokémon instead of the classic six. Once the two trainers face off, they will be able to choose which battle party they want to use. Battles don’t use the traditional Pokémon turn-based style and instead, people will tap or hold the fast or charge attacks to perform a move. 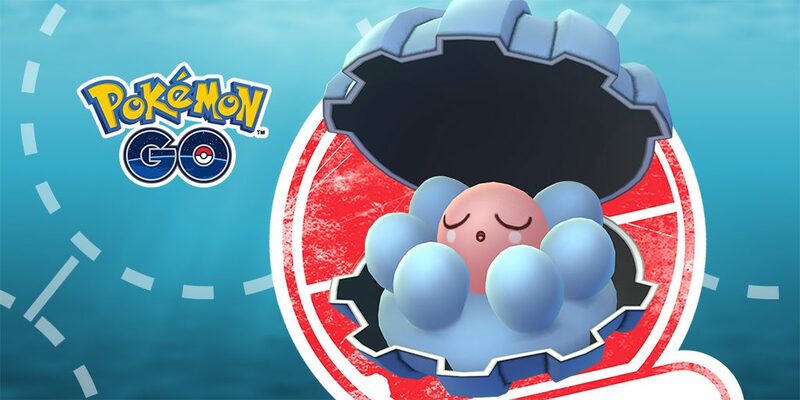 There will also be a Protect Shield ability that gamers can use when they think a big attack is coming. Furthermore, Pokémon Go trainers will be able to swap out their Pokémon anytime over the course of a battle. The only restriction on switching Pokémon is a cooldown timer that stops people from quickly spamming the switch Pokémon button. Battles have a four-minute timer. A battle ends when either all of a person's Pokémon are defeated or the timer runs out. If both trainers have Pokémon still in play at the end of the four minutes, whoever's Pokémon has more health will be crowned the winner. Gamers have unlimited access to Trainer Battles. They can pick fights with as many people as they’d like in a day. However, they will only get rewards from the first three. Local Pokémon battles are handled a little different than their online counterpart. Local battles are dependent on Trainer Leagues. There are three different tiers that players have the option to join. In order to battle a player locally, trainers need to be a part of the same Trainer League and exchange battle codes. Battle codes are not the same as friend codes. These codes are QR codes that trainers will scan and will allow them to send an invite and start a local battle. Each Trainer League has a combat power limit. This helps gamers gauge the difficulty of the opponents in a particular league. A breakdown of each Trainer League can be found below. Before jumping into battles with friends and trainers from around the world, it might be smart to try a few single player battles first. The new update brings with it Team Leader Battles where gamers can battle three team captains, Blanche, Candela, and Spark. Gamers can battle these NPCs as much as they’d like to level up their Pokémon but will only be rewarded once each day, more on the rewards below. There are some exciting rewards for those that take part in the new Pokémon Go PvP battles. Each trainer that takes part in a Trainer Battle or Team Leader Battles, winner, and loser, will receive a prize. Candy, Stardust, and rare items can all drop for any trainer. Every player walks away with a reason to celebrate. The actual winner of the battle won’t receive any additional rewards besides those all-important bragging rights. 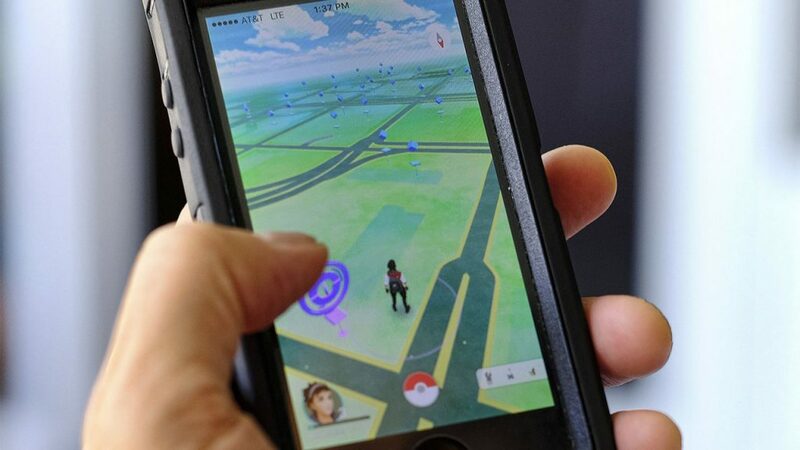 Many thought Pokémon Go was going to be a fleeting fad but that was disproven after two years of consistent improvements and its ability to retain an audience. The Augmented Reality driven mobile app is even incorporated into the latest Nintendo Switch Pokémon games, Pokémon: Let’s Go, Eevee and Pokémon: Let’s Go, Pikachu. 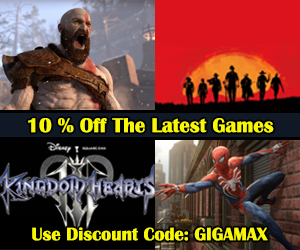 For more information on Pokémon Go and to keep up with the latest gaming news and updates, be sure to keep stopping by GigamaxGames.com every week for new articles! Nintendo released a brand new trailer for their upcoming title Pokemon: Let's Go. It showed off an impressive amount of new details for trainers to get excited about. The trailer, which those interested can watch below, bears the slogan "explore the Kanto region in a whole new way" and based on that short video, Nintendo certainly isn't lying. While the gameplay may be familiar to fans of the series, there is more visual detail packed into the world and sprites than players have ever seen before. It shows off trainers, both male and female, riding on the backs of select Pokemon such as Charizard, Onix, and Arcanine. There are short clips of battles and a look at how players will be able to customize and bond with both Pikachu and Eevee, the starters fans choose between depending on which version they buy. Much like in the more recent Pokemon titles, trainers will be able to pet and feed their monsters to keep their morale up. Matching Pokemon Outfits? Yes, Please! Players will have a variety of cosmetic choices to experiment with when customizing Pikachu or Eevee. Fans can choose between different hairstyles and clothing to personalize their Pokemon. The new trailer shows off Eevee in a charming blue hat and red bowtie combo, while Pikachu is looking sporty in a nice safari outfit. If trainers are feeling super close to their Pokemon, they can even wear matching costumes. 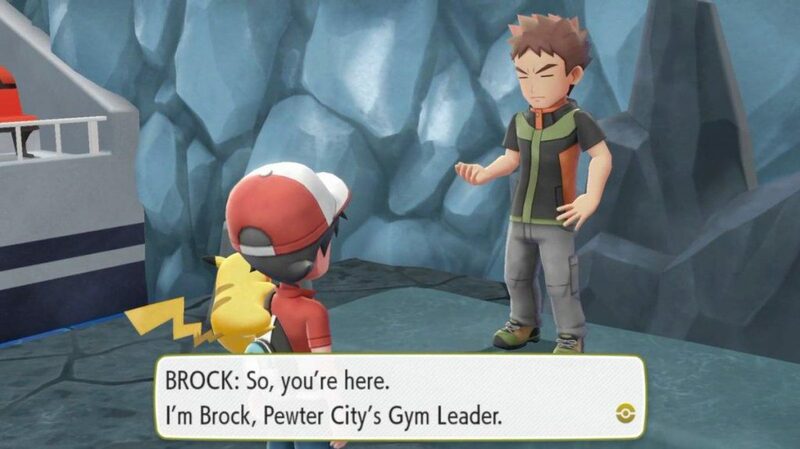 Along with basic trainer battles, players will be able to take on the original gym leaders. The trailer gave a brief look at both Brock and Misty, who fans of the original games should remember very well. Gamers will also be able to experience the game together. Co-op battling and trading with friends both online and locally will be available as well. Pokemon: Let's Go is meant to be friendly toward newcomers and fans of the long running series. 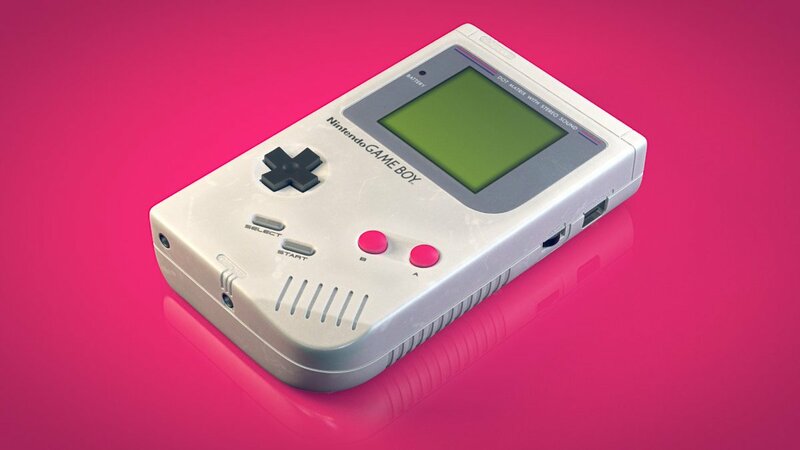 Both those that started playing with the mobile game Pokemon Go or gamers that have been playing since Pokemon Red and Blue will all feel at home. The game features all of the original 150 Pokemon as well as their Alolan forms from Sun and Moon. However, instead of taking the traditional approach to capturing monsters, you simply acquire them by throwing stacks of Pokeballs at them just like in Pokemon Go. Pokemon: Let's Go is set to release on November 16th, 2018 and we'll be sure to keep you up to date on all the information Nintendo puts out here at GigamaxGames.com! 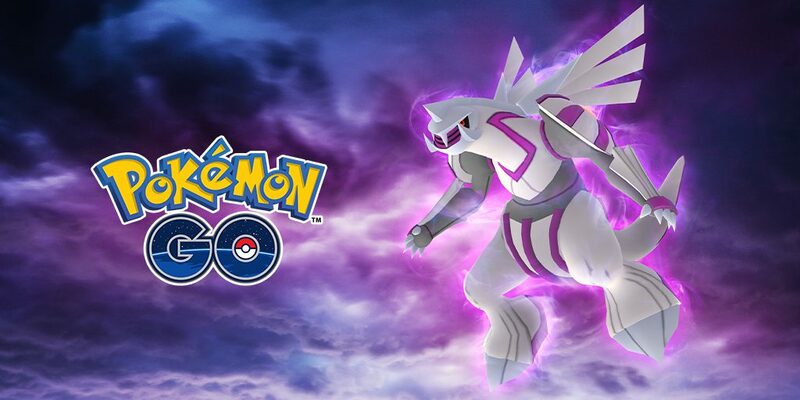 A brand new Legendary pocket monster has made its way to Pokemon Go. 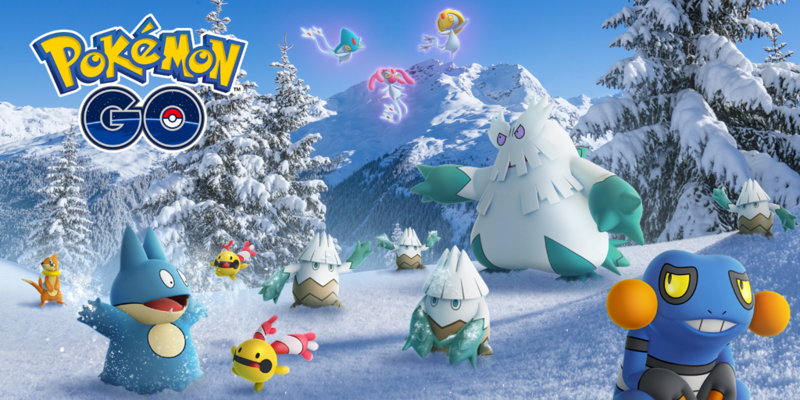 Regice, the ice version of the three legendary titans from the third generation of Pokemon games, can now be found at gyms around the world in the form of a raid battle. This beast will be available until July 19th where it will then most likely be replaced by the other two Legendaries. As usual, dedicated players will have to team up with other trainers and take on Regice before they get a chance to capture it. It is important to remember when going into the battle that ice-type Pokemon are weak against fire, rock, steel, and fighting types. Although, despite the monsters many weaknesses it has a particularly high defense stat, adding to the formidability of the latest Legendary opponent. 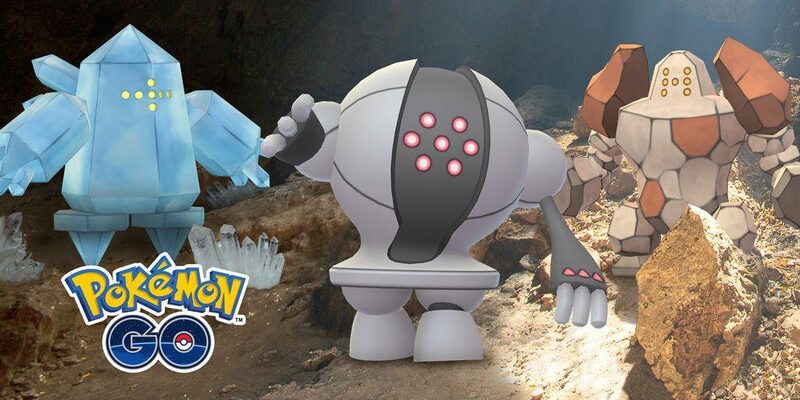 The other two Legendary Titans, Regirock and Registeel, are expected to appear on Pokemon Go soon. Niantic has yet to confirm when fans can face the next two beasts but they'll follow the introduction of Regice late this summer. 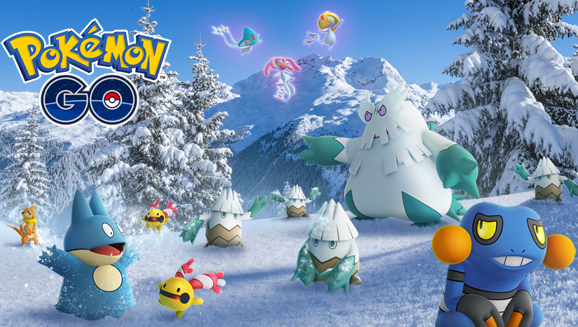 Regice arrives on the heels of Pokemon Go's latest in-game event, the Water Festival. 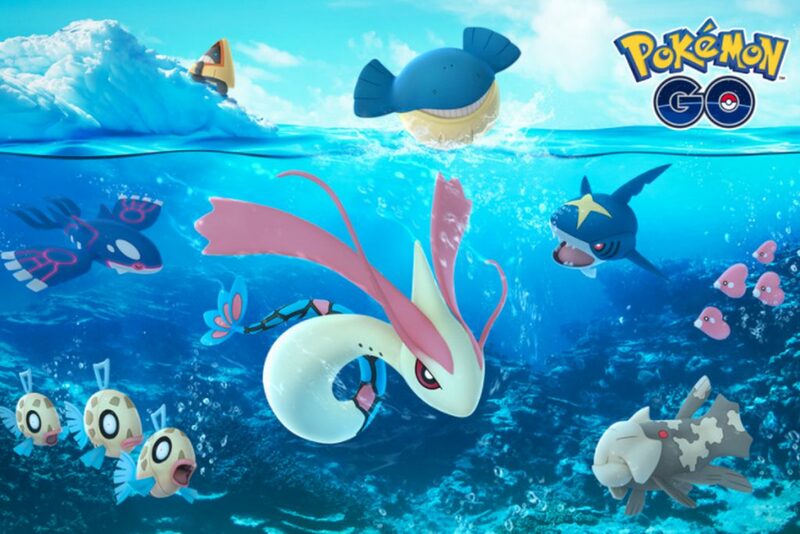 Part of this event included trainers having the chance to catch another generation 3 Legendary, Kyogre, which returned to raid battles for a limited time. 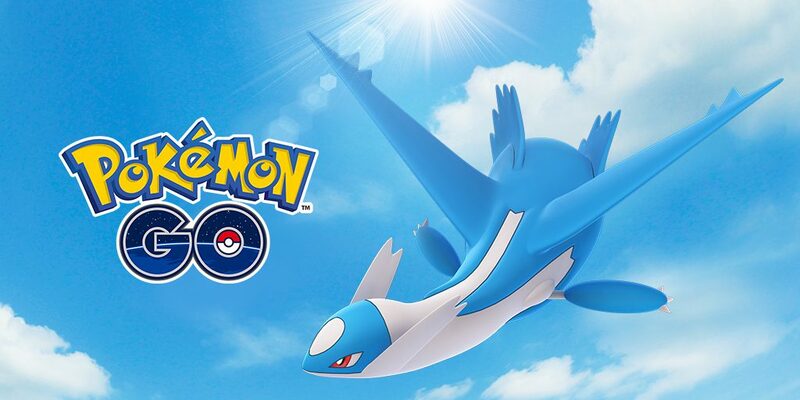 While Kyogre may no longer be available, trainers still have the opportunity to complete the latest set of Field Research Quests, which will lead to another chance to take on the Legendary bird Articuno. Alongside the recently announced Legendaries, Niantic began rolling out the recently announced friends and trading features for Pokemon Go. 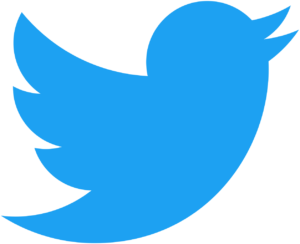 Although, as of now, only players that have reached between levels 33 and 40 are able to take advantage of the long-awaited features. 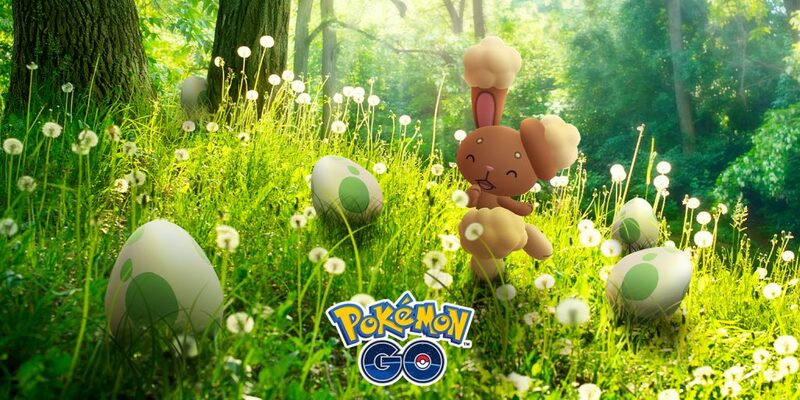 Niantic claims that these systems will eventually make their way to other players, but hasn't given a specific timeframe. 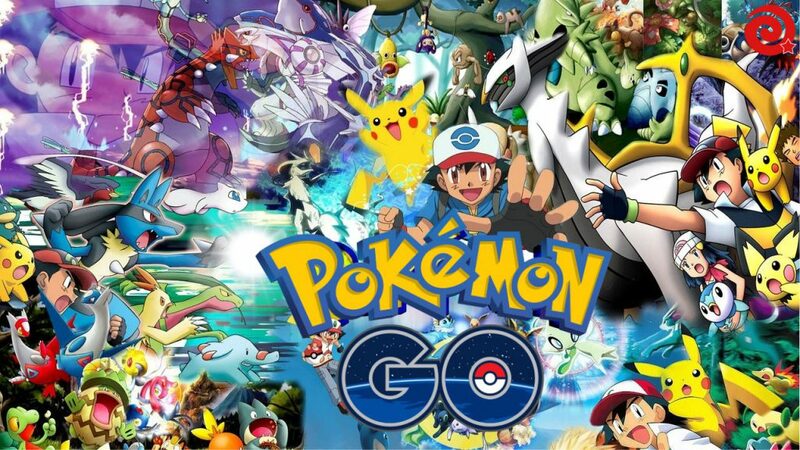 Pokemon Go continues to evolve and the Gigamax Games crew will continue watching out the mobile game progresses. 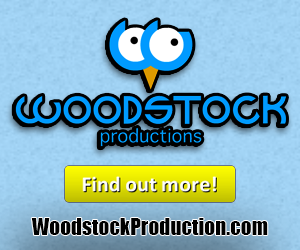 Stop by again soon to keep up with the latest video game news and announcements.